I first proclaimed my love for Ton Ton Ramen's Oxtail Ramen here, and then promised that I would try Ramen Nakamura's and update you on the good and bad. As much as I hate going into Waikiki to eat (because of skyrocketing prices and nonexistant street parking), I finally convinced my bf to come along with me. Since there was absolutely no street parking, we decided to park in the Royal Hawaiian Shopping Center and just validate in one of the shops afterward. Plan successfully worked! We arrived at Ramen Nakamura around 5ish, which was perfect- no line, lots of seating, service was quick. I ordered the Oxtail Ramen, of course, while BF ordered the Hakata. I went for the Oxtail Ramen Combo, which came with 3 gyoza and a small fried rice. Yes, I know...a lot of food. But, I figured, "Hey, I came all this way, I might as well order 'the works!'" So...verdict? Thank goodness I love Ton Ton Ramen's Oxtail Ramen much more! Parking is easier, parking is FREE, service is quick as well....only thing is that they're located in Waipahu! A bit far for my liking, but hey, when I'm out in that area, there's no doubt you know where I'm eating for lunch!!! The meat at Ton Ton is much much more tender and easily falls off the bone. At Ramen Nakamura, it was more tough, the cartilage didn't melt off, and I had to pick at the meat constantly to yank it off the bone. It was just much easier to eat at Ton Ton, plus they gave more oxtail meat. Four measly pieces of oxtail with a whole bowl of ramen noodles (that quickly got soggy) isn't gonna cut it, Ramen Nakamura!! On a good note, though, I did like all of the extra toppings that they included- a generous amount of baby bok choy, onions, garlic chips, (two) slices of mushrooms, ginger and bamboo shoots. Insider tip: Show your Hawaii License to prove you're Kama'aina and receive 10% off your bill! But you must do this before ordering. Next up on the Oxtail Ramen contest list is Asahi Grill! Can't wait to try their location next to Yogurstory or their original location in Kakaako on Ward! I'll report back soon on that. 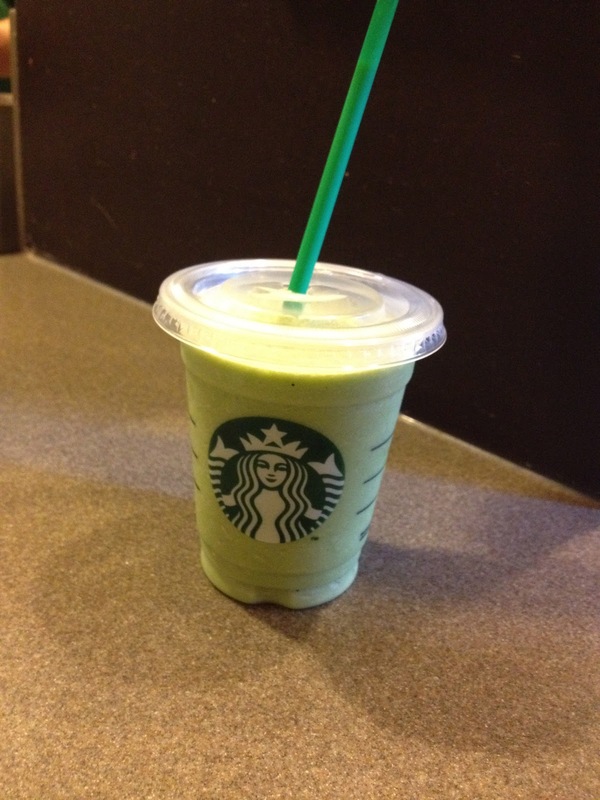 Stopped at Starbucks in Royal Hawaiian to get a Green Tea Matcha Frap and to validate! Perfect end. I really love reading your blog! The pictures are great and I love getting a little taste of these places around Oahu. :) Keep up the good work!